10 Minute Standing Ovation for Legally Blonde in MKT! 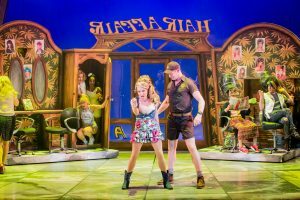 EastEnders’ Rita Simons, X Factor & Eurovision entrant Lucie Jones, and Bill Ward, star of Coronation Street and Emmerdale star in a major new UK tour of the smash-hit Broadway and West End musical Legally Blonde The Musical, at Milton Keynes Theatre until Saturday 2 June. Rita Simons (Paulette Bonafonte) is best known for playing Roxy Mitchell in BBC’s EastEnders for which she has won numerous awards and is one of Britain’s best loved actresses. Rita has also appeared on TV in Mile High as Hannah, Dream Team as Julie and London’s Burning. In Spring 2012, Rita was the subject of a major documentary film Rita Simons: My Daughter, Deafness and Me made by Leopard Films for BBC1. Rita actively supports the charity RNID. Lucie Jones (Elle Woods) recently played Maureen in the 20th anniversary UK tour of Rent. Her previous theatre credits include: Elle Woods in Legally Blonde (Leicester Curve); Molly in Ghost (Asian Tour); Victoria in American Psycho (The Almeida); Meatloaf in We Will Rock You (International Tour); Kelly Byrne in The Prodigals (Edinburgh Festival); Cosette in Les Miserables (Queens Theatre, West End and O2 Arena). Her TV acting credits includes: Melody Carver in Midsomer Murders (ITV); Louise in The Sarah Jane Adventures (BBC). Lucie was a finalist in the 2009 series of The X Factor. Bill Ward (Professor Callahan) is best known for his work on two of the country’s leading soaps. He has just finished 3 years playing farmer James Barton in Emmerdale. Previously, he played the builder Charlie Stubbs in Coronation Street. 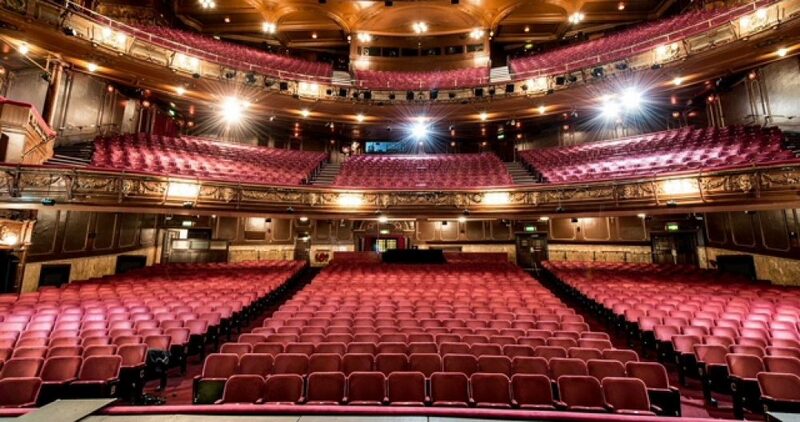 In addition to his many and varied TV and film credits Bill is no stranger to the stage and has worked on everything from Sophocles to The Spice Girls at Bristol Old Vic, Manchester Royal Exchange, Northern Stage, Clwyd Theatr Cymru, and The National Theatre Studio amongst others. He’s played Prospero in The Tempest in Guildford, Lancelot in Spamalot in the West End, and Kevin the Gnome in a muddy field in Glastonbury. 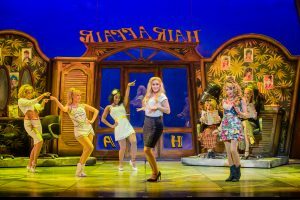 I was lucky enough to be at the press night of Legally Blonde at Milton Keyne – and what a night! This show has toured before, but this production beats the previous incarnations hands down! It has pace, lots of new ideas and its lots of fun! They have subtly brought it slightly up to date in place – but not so’s you’d notice. Lots of great new production ideas (involving bicycles etc.) and I thought the classroom at Harvard and the courtroom scenes worked better than ever without being too cluttered with tables and chairs. 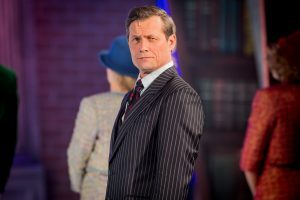 All in all, this is a great night out, the audience stood as one and applauded for a good ten minutes – don’t miss it!